Apart from being a top choice among off-roaders ,the thar,as a lifestyle vehicle has also attracted long-distance adventurers. 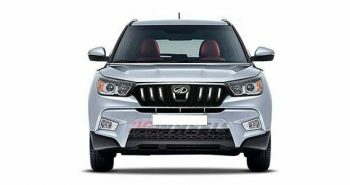 Now ,Mahindra intends to make the Thar a ‘cult’ brand,so the next version will be much more refined and capable out on the highway ,in line with cars like Jeep’s Wrangler. Additionally ,in a bid to meet the BS-V1 – compliant engine.Though not confirmed,the new Thar is likely to arrive upto six months ,or even a year, before the April 2020 target to regularise the crash test norms in India. The current generation Thar was launched in the market back in 2010. In 2015, Mahindra gave a mid-cycle update to the ever-popular brand. The interiors got a slight update,and a detachable soft-top along with new bumpers and wheel-arch claddings,were added.